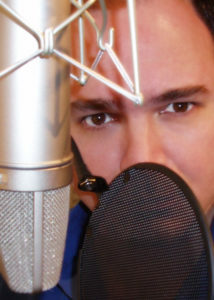 I am Víctor Martorella, I have been recording voice-overs in Neutral Latin American Spanish and producing for Radio and TV for many years. I own and operate my Professional Audio Recording Studio equipped with worldwide connectivity. I have worked as a freelance voice talent for all of the major national advertising agencies, Hispanic Television Networks and many clients throughout the world. My voice has been heard in countless Radio and Television commercials, both for local and national markets as the announcer or characters, narrated documentaries and online training videos.